Plush warmth the eco-conscious advantage of responsibly-sourced down and bluesign® approved materials. 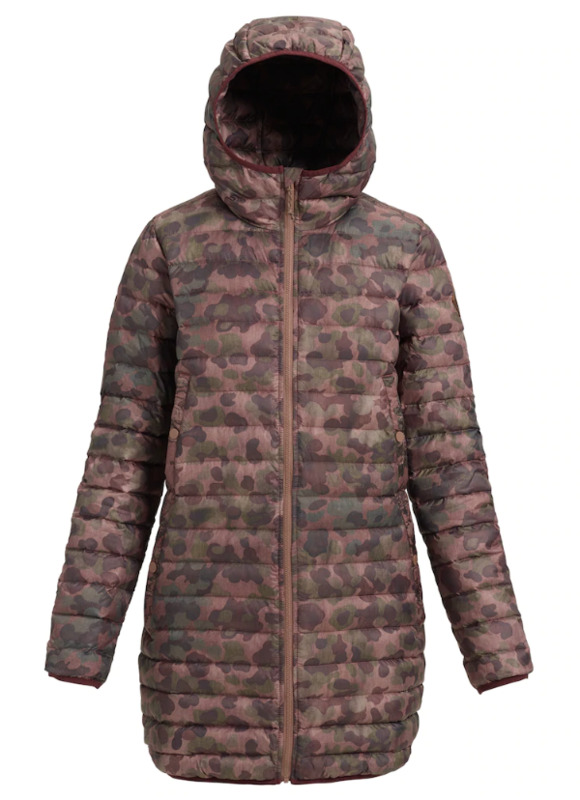 Puffy warmth is a must on the chilliest days, and with the women's Burton Evergreen Long Down Jacket you can bring that level of toasty comfort to your everyday routine. Extra length offers the total coverage required for head-to-knee comfort. Loaded with bluesign® approved materials and responsibly-sourced down, you can bet this hooded, water-repellent piece will be your new go-to for oven-strength heat on the most frigid days. And Living Lining® ensures you won’t get burnt, adapting to ups and downs in activity for Climate Controlled Comfort™.